One funny sidenote to my post about Anneliese’s fabulous Bateaux dress pattern was a whole slew of emails about Piper’s top knot. 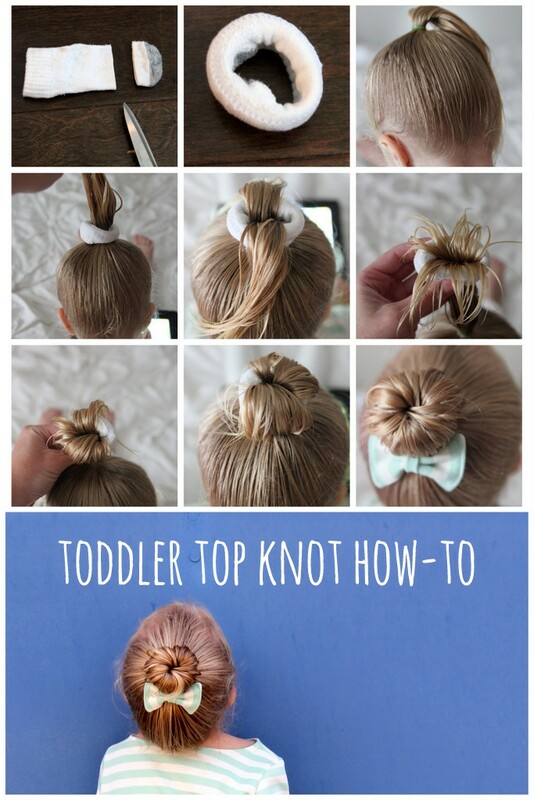 Specifically, requesting more information about and directions for how to do toddler top knots (aka- ballerina buns). And, really, with knowledge that leads to something this cute, how could I keep these instructions to myself? 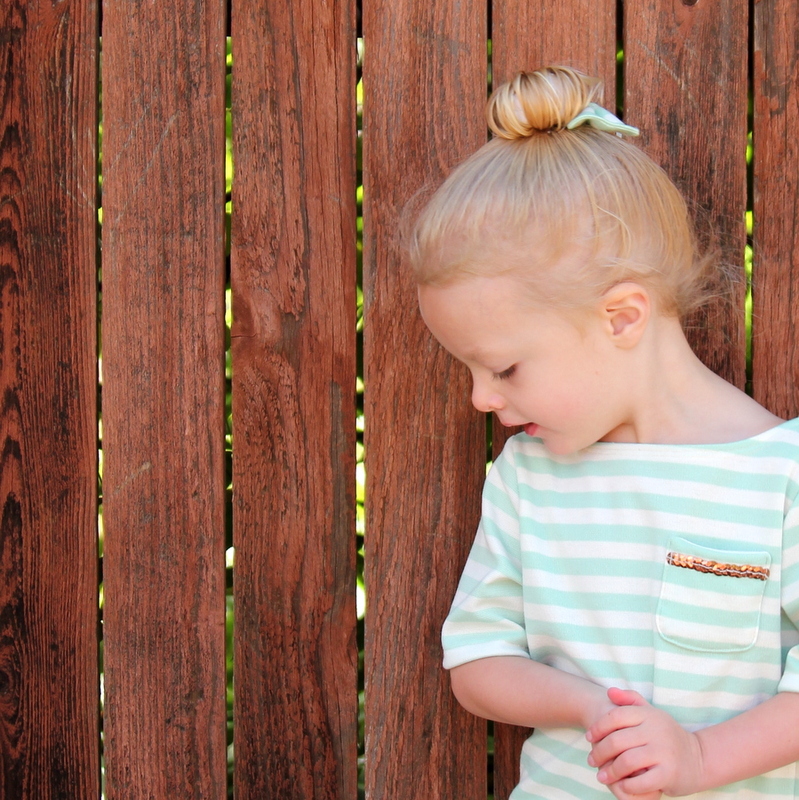 Want to make a perfectly perched ballerina bun too? To start, grab a baby/kids sock and cut off the toe (Piper Jane has pretty thin hair, so I used a baby sock). Roll the sock down until it’s a tube. Put the hair up in a high pony tail. Slide the sock/tube onto the ponytail. Separate the pony tail into two sections, half in front and half in back. Bring the sock/tube to the top of the pony tail, keeping the sections divided. Tuck the ends of the pony tail around the tube and begin rolling the tube back toward the head (if you’ve ever done a top knot on your own hair, this will be easier). When all of the hair is rolled around the tube and the bun is in place, spread out the hair for even coverage of the tube (Piper’s always ends up in two clumps, but is easily spread out). 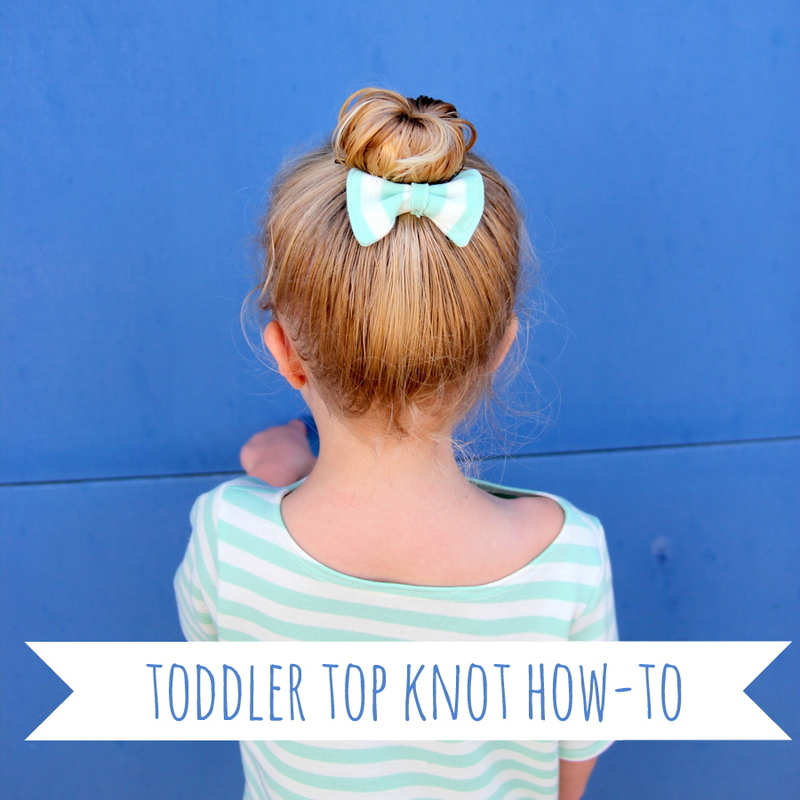 Add a bow and your toddler top-knot is complete. 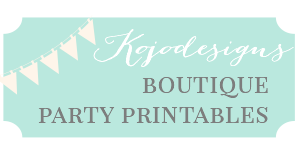 Perfect for twirling and ballerina-ing, or wherever else your day might take you. ps- Want another dose of darling today? 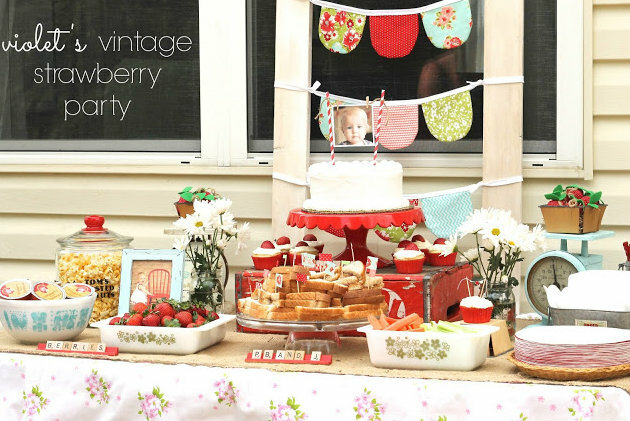 Head over to Shiny Happy Sprinkles for an absolutely adorable Vintage Strawberry First Birthday Party! love it! now…how’d you make that bow??? Wow! I thought that was all hair….never would have guessed that’s how you did it. 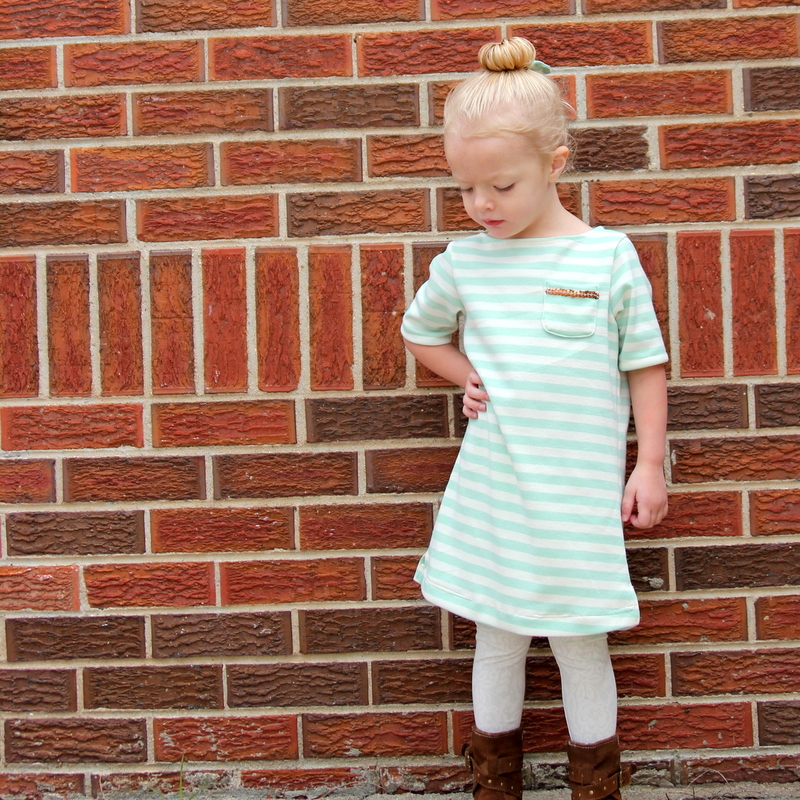 She is so cute, and so sassy in some of these pics…..really looking forward to seeing you guys in a couple weeks!! So helpful- thanks Kirst! 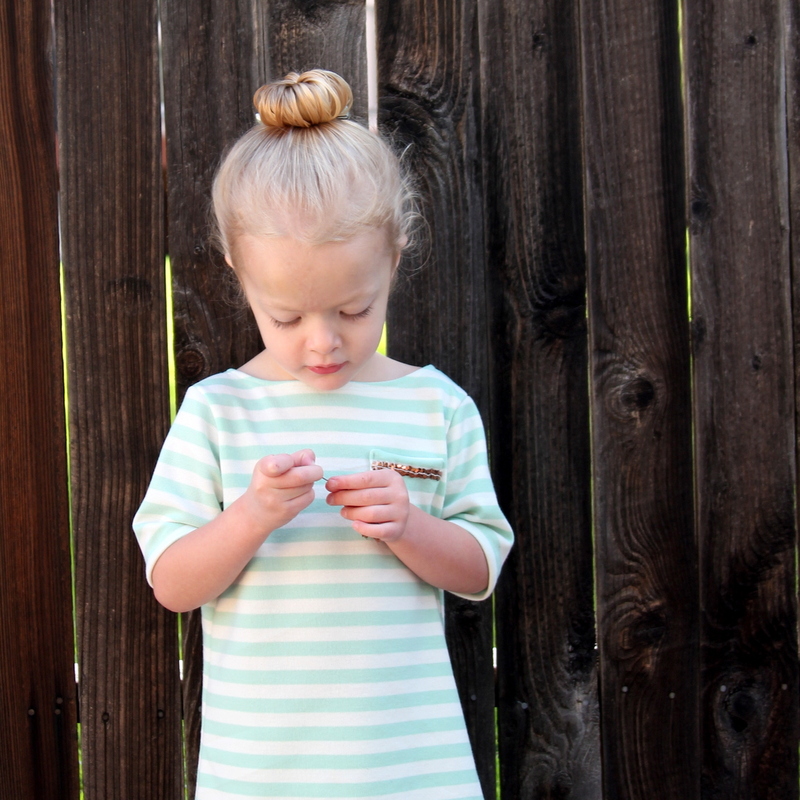 Hannah will love having a real ballerina bun for her ballet class. Thank you for this! I was hoping for a tutorial when I saw the other post. I’m definitely trying this on my daughter tomorrow morning! Erin, it’s such a fun little way to keep toddler hair in place. 🙂 Glad the tut is helpful! Ok, stupi question – once you get it all rolled down how de you secure it? Does it matter what kind of sock you use? I’m sure u can’t use ankle socks right? I don’t think it matters. As long as you clip off the toe, you could probably use an ankle sock? If you try it, will you let me know how it works? Maybe she has too much hair? Hahaha! Piper has such thin hair that maybe it works better without too much bulk??? Beautiful! Love this hairstyle idea!! Can you maybe tell me one more thing? Does the hair need to be wet for this to work out? Hey Sarah- I make the hair a little damp, but not wet. Hope that helps! Thank you thank you thank you. We needed this for her dance recital and I was clueless. This works like a charm. I bet the dance recital was an OVERLOAD of cuteness. 😉 Glad this helped!